That is a very pretty header you've got. Just like the person who made it gorgeous!! Oi what a superb nice header. I gave ya a salute! !Good job!! good job, dhemz :-) very nice header, just like you! Wow! You look fabulous here girl. Look like a model. pretty good header! she deserves an applause. Ganda ni manang dhemz dito hehe. I love your new header. so ganda..pareho ba tayong di marunong mag make over ng sariling site? Hahaha.. Kisses to the kiddos na lang Rose.. Thanks clarissa, I do too, i salute that woman for her skills..
Korek ka dyan ate Cecille! she does Maria hehehe, she look like a lotion model hehehe.. Thanks Dong, yup an applause and A Hug hehehe.. Thanks for the visit cookie, all your admirations will be sent to dhemz.. Thanks for the tag Inday! 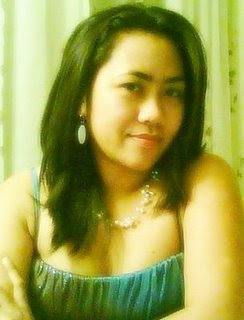 I posted one at my main blog..
Hello Ate Weng, just buzz her about it, Im sure she will make one for you, kaw pa! Ganun na nga Liz, ala akong kaalam alam dyan hehehe.. Buti na lang may friends tayo!